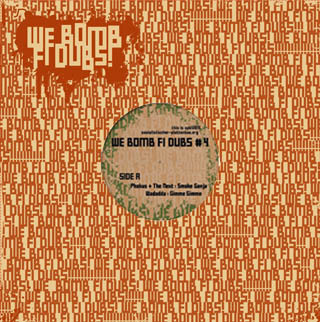 the 4th installment of the We Bomb Fi Dubseries drops it for the smoker crew on the a-side with a heavy stepper tune by the next together with phokus and a more meditation dub tune bywadadda. on the flipside it goes down into darkness with first time on spb mr.boogie from potsdam with his great ghostship tune. at least on the record is istari lasterfahrer with depression stepping tune agonie. 400 copies have been pressed. This is a 12inch, Products Artist istari lasterfahrer, Mr. Boogie, Phokus, The Next, Wadadda. Bookmark the permalink.